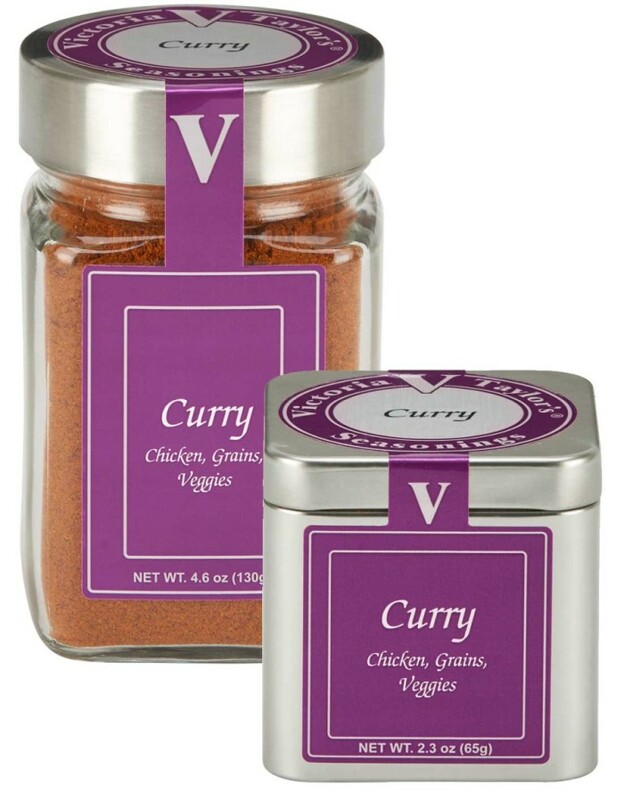 Victoria Taylor's Curry Seasoning has a nice round flavor with just a hint of sweetness. It's just right for Curried Chicken Salad and works nicely with a variety of curried vegetable recipes and rice dishes, such as Curried Green Beans with Bacon and Pine Nuts or Curried Carrot and Raisin Pilaf with Cashews. For an unusual treat, try Curried Macaroni and Cheese. Mixed spices (including mustard, chile powder, coriander, cumin, black peppercorns, fenugreek, cinnamon, and cloves), turmeric, sea salt, garlic powder.